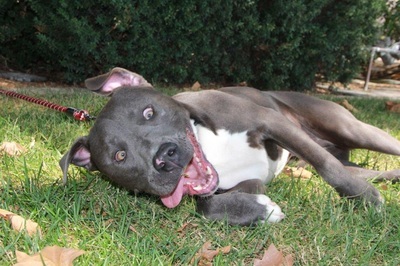 If ever there were a dog that should have his own animated tv show it would be Shaughnessy. 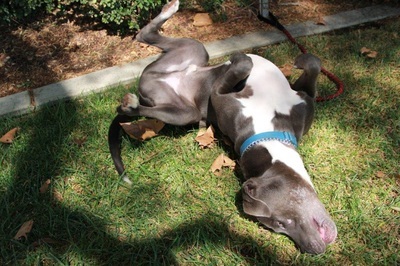 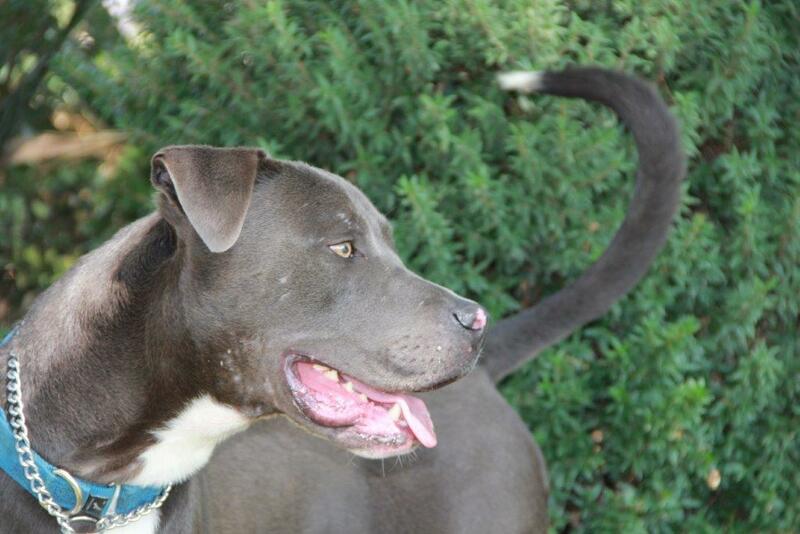 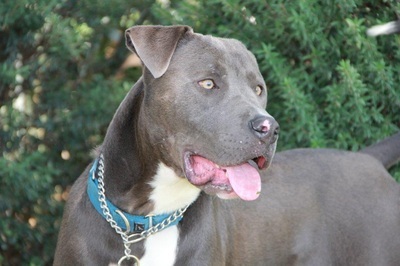 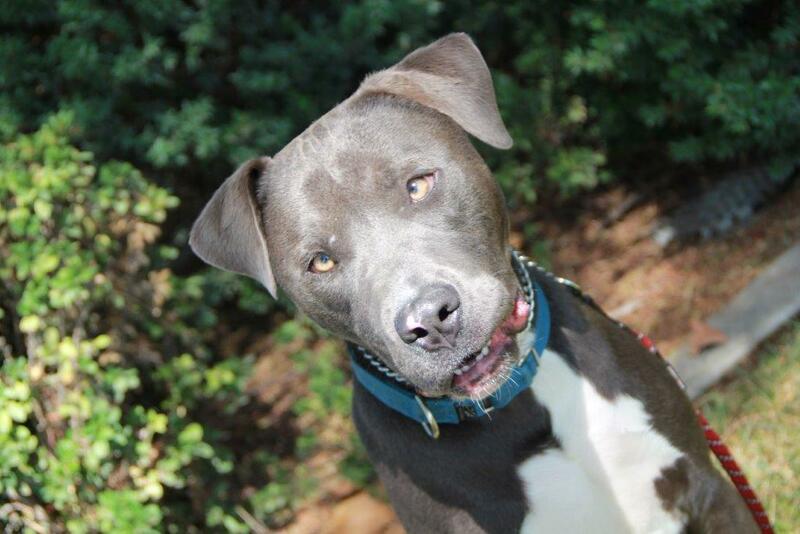 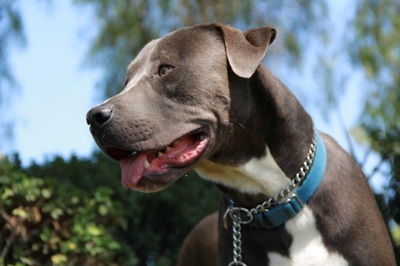 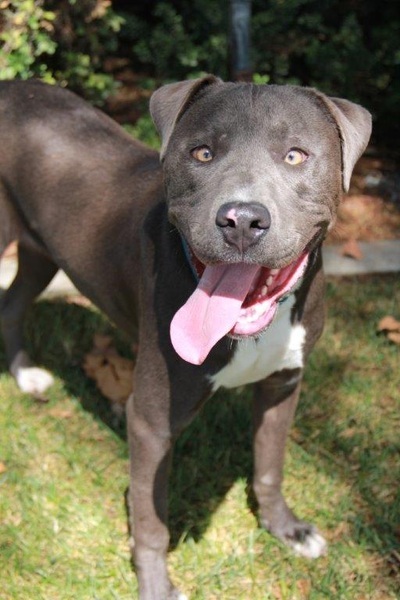 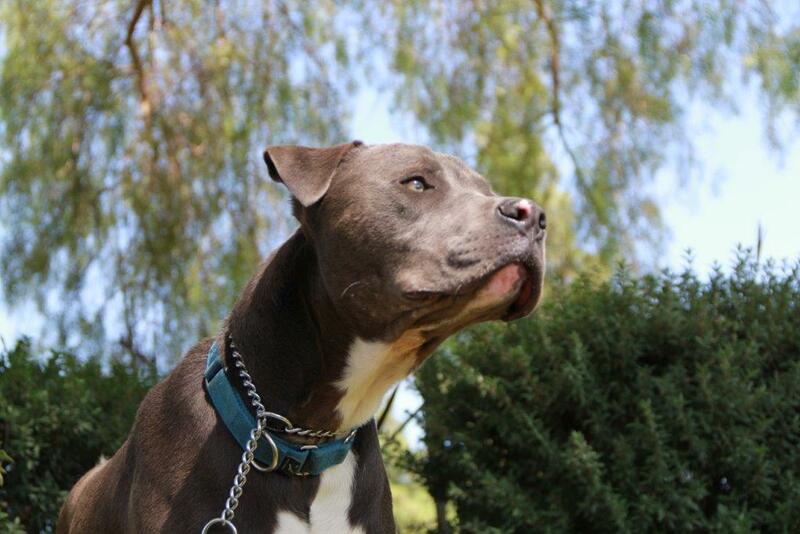 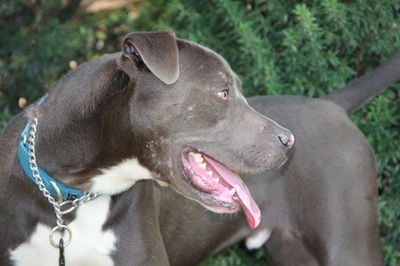 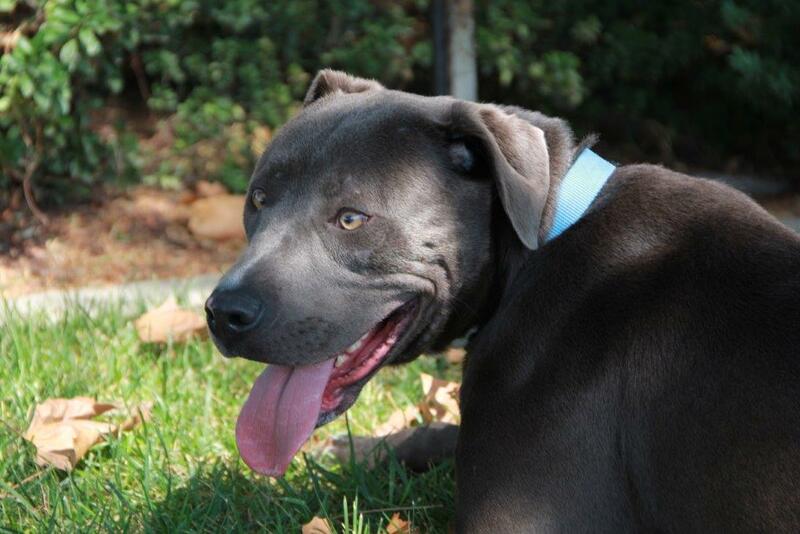 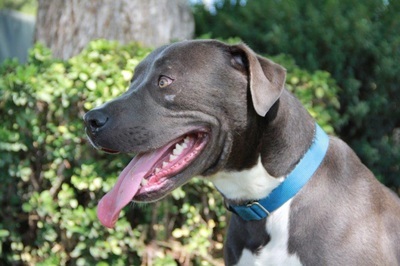 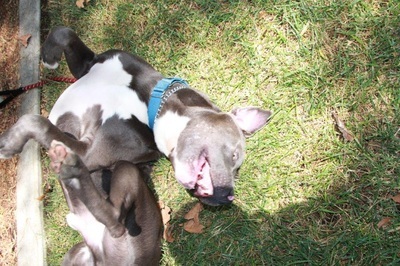 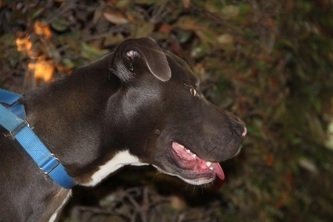 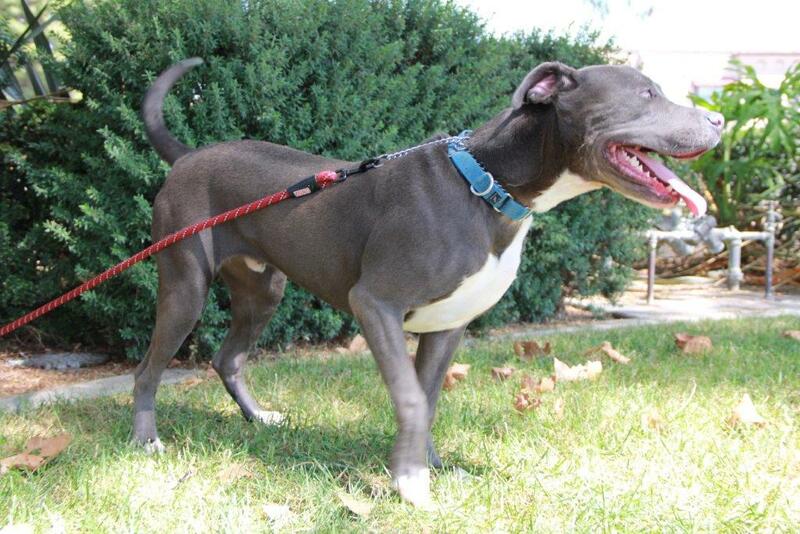 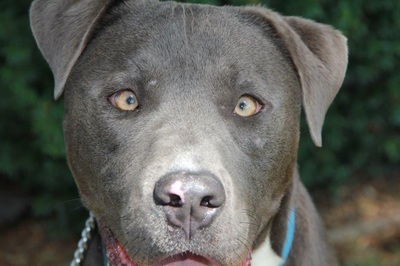 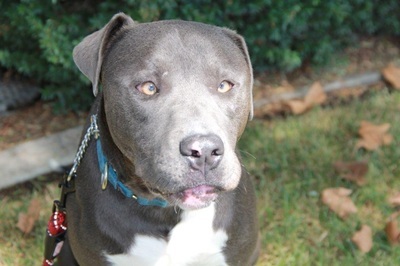 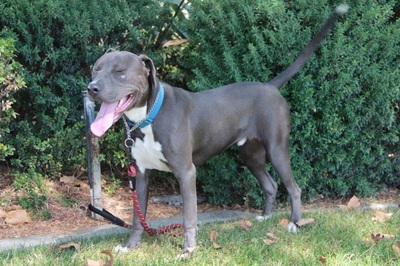 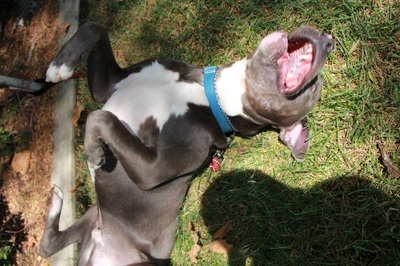 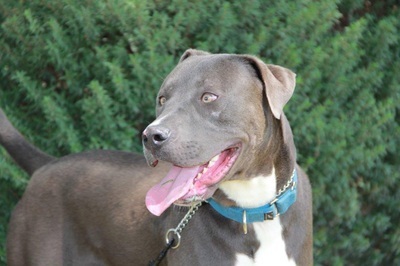 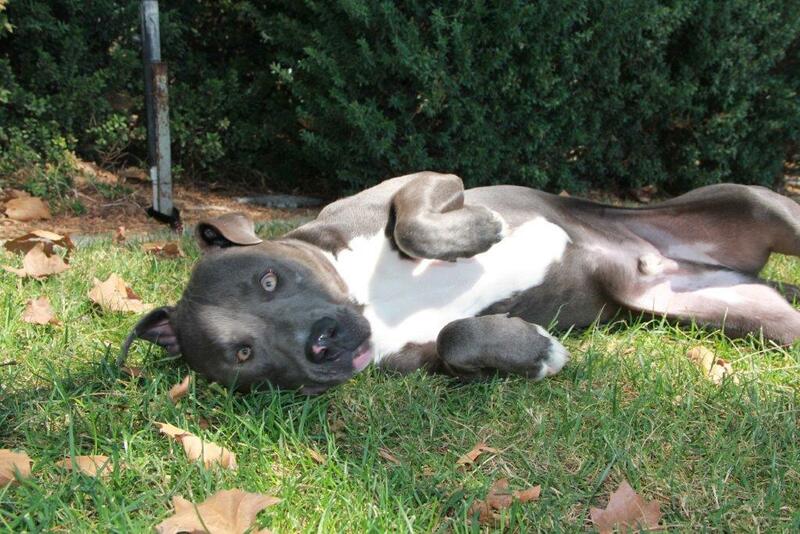 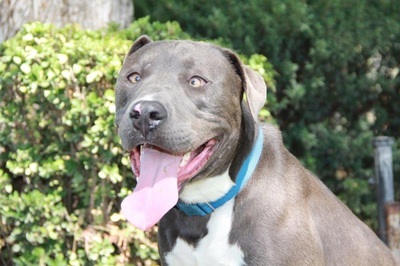 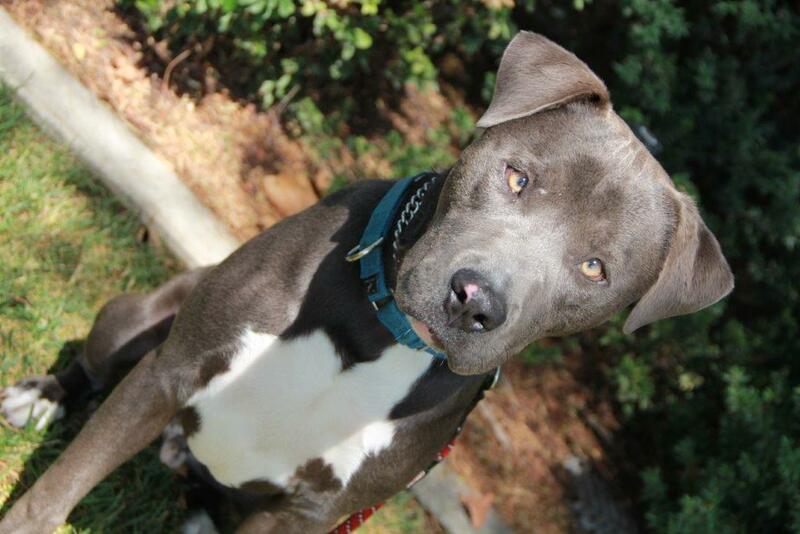 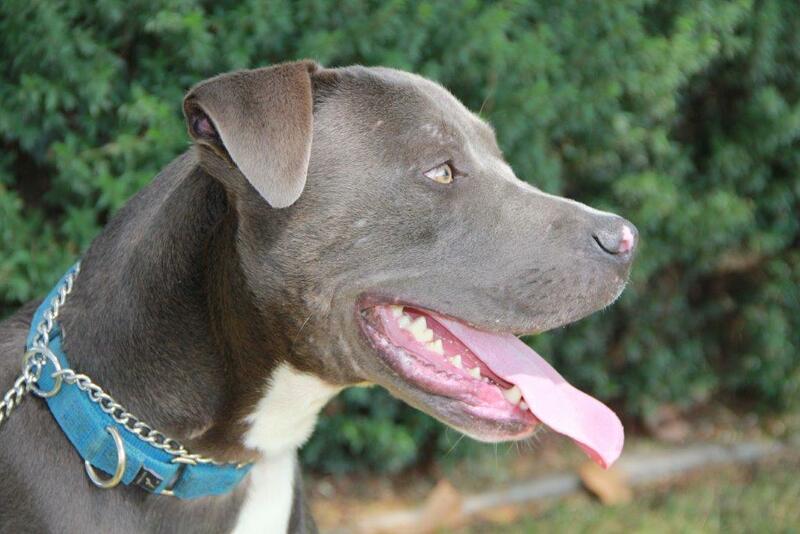 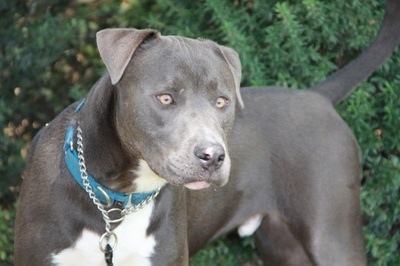 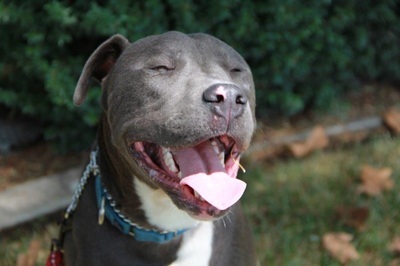 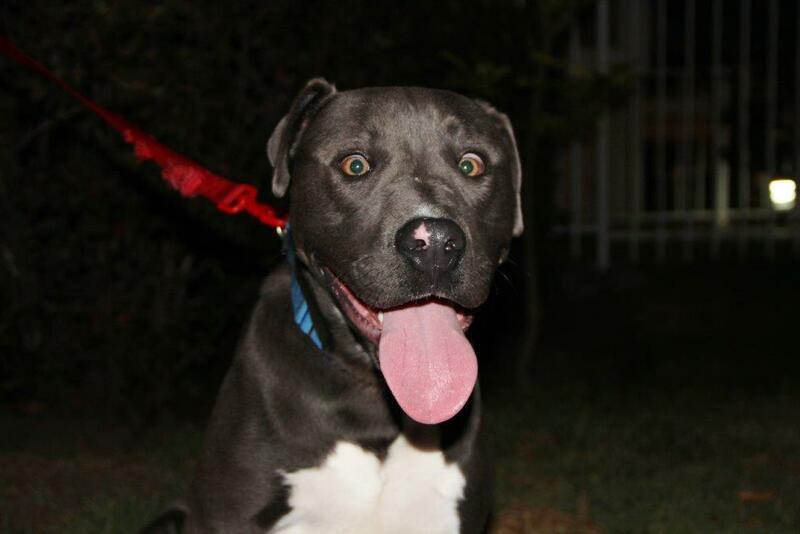 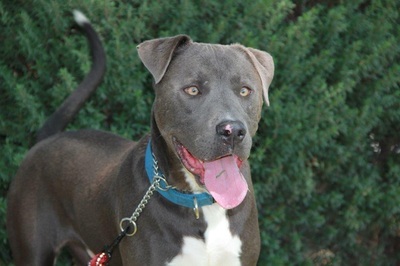 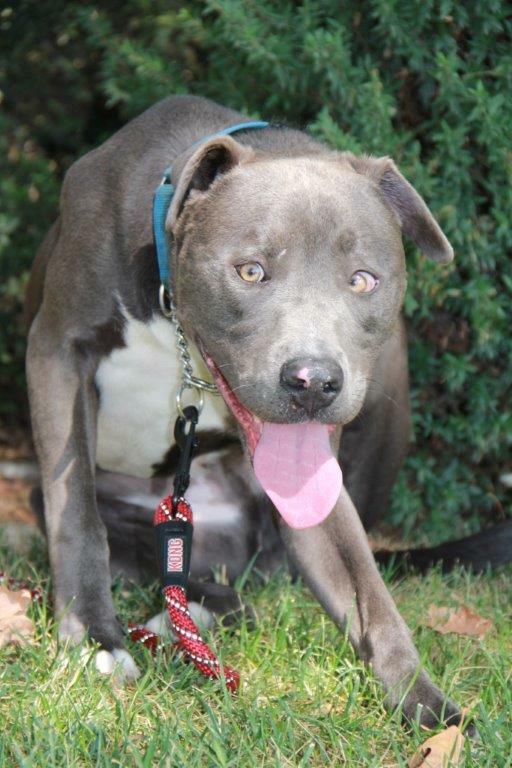 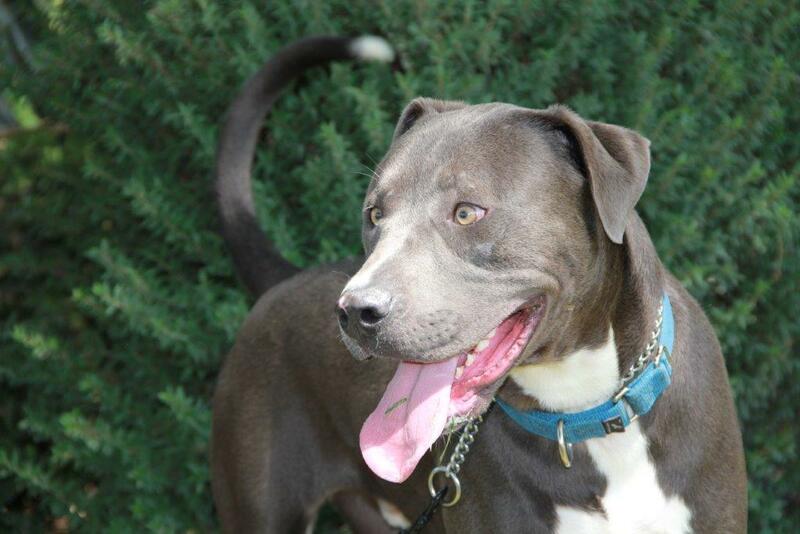 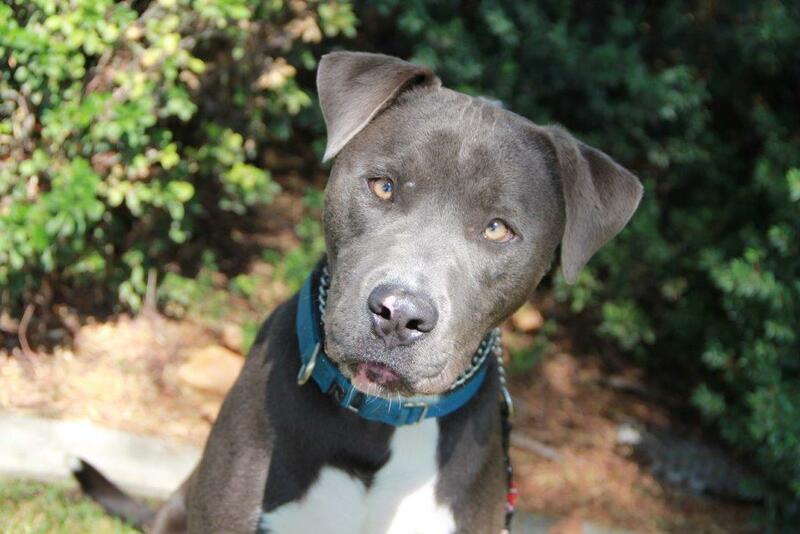 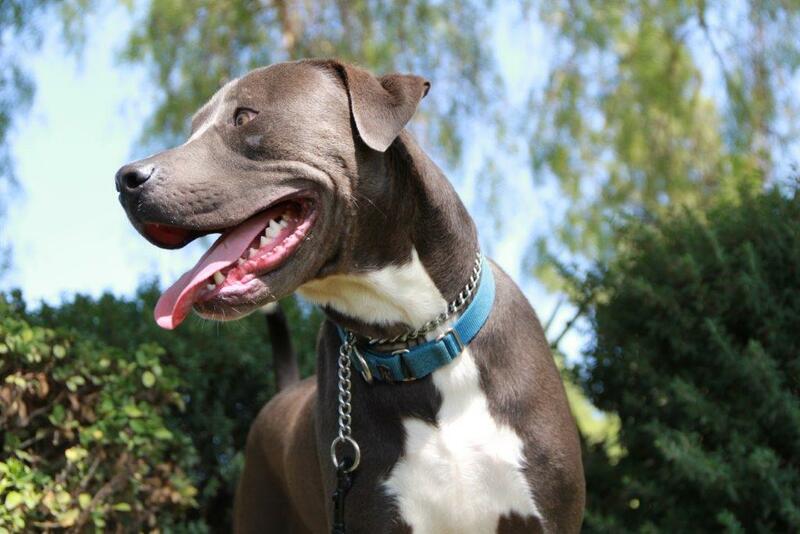 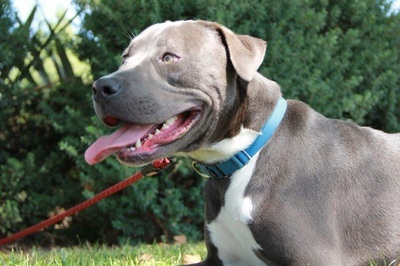 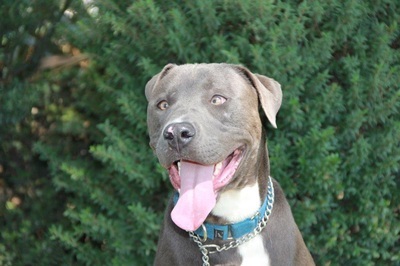 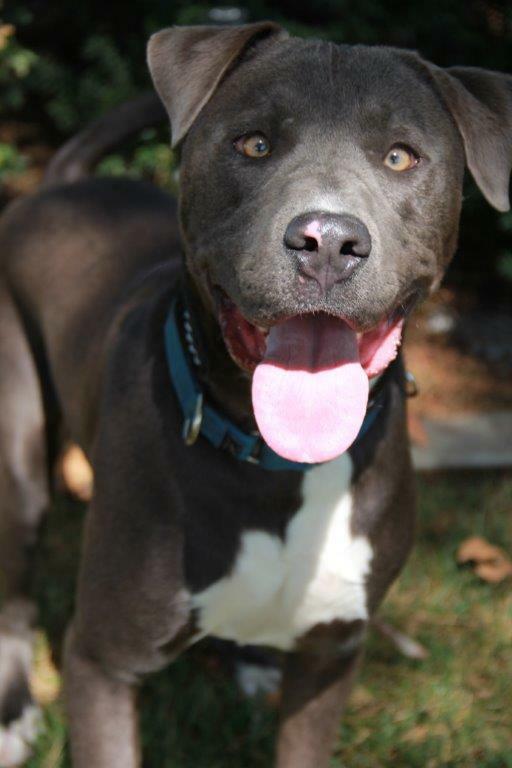 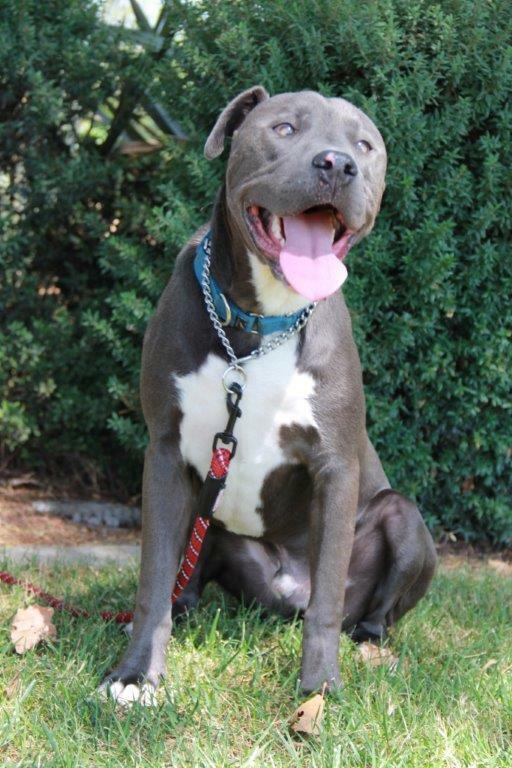 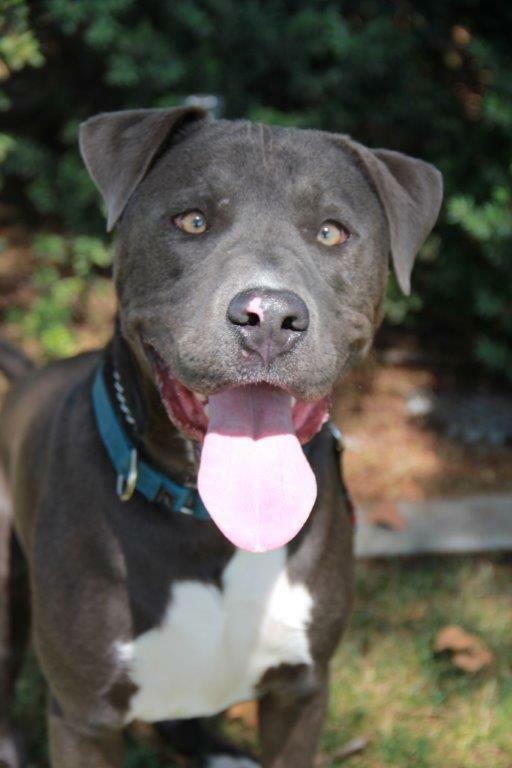 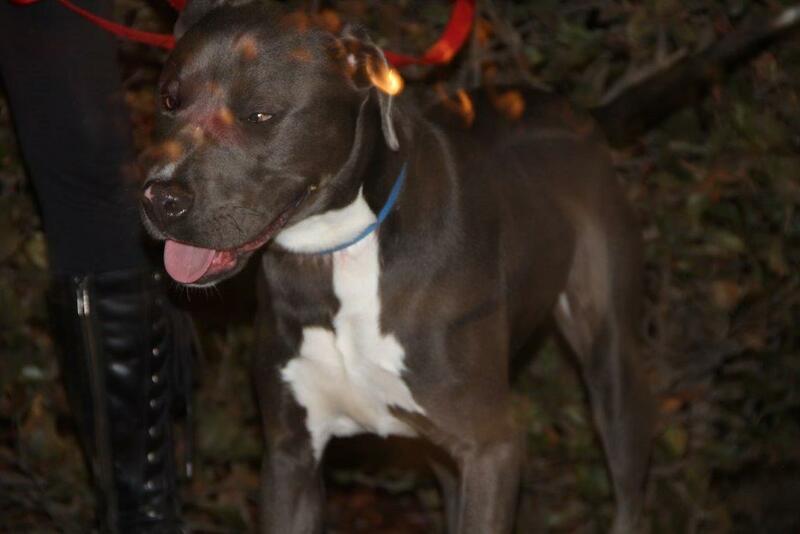 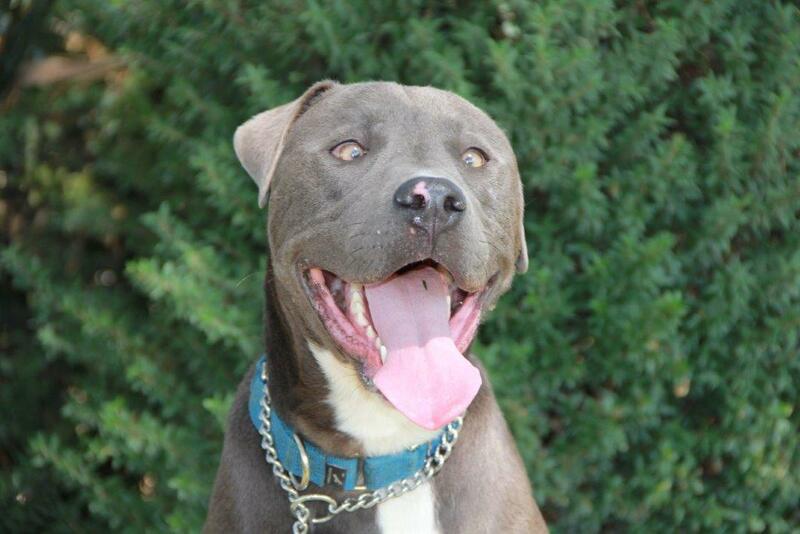 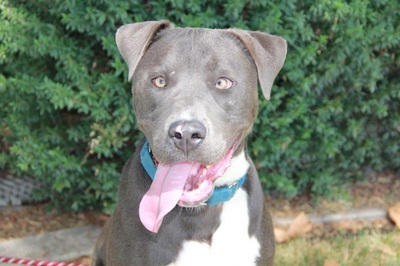 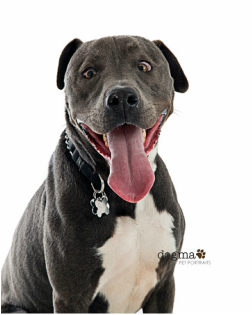 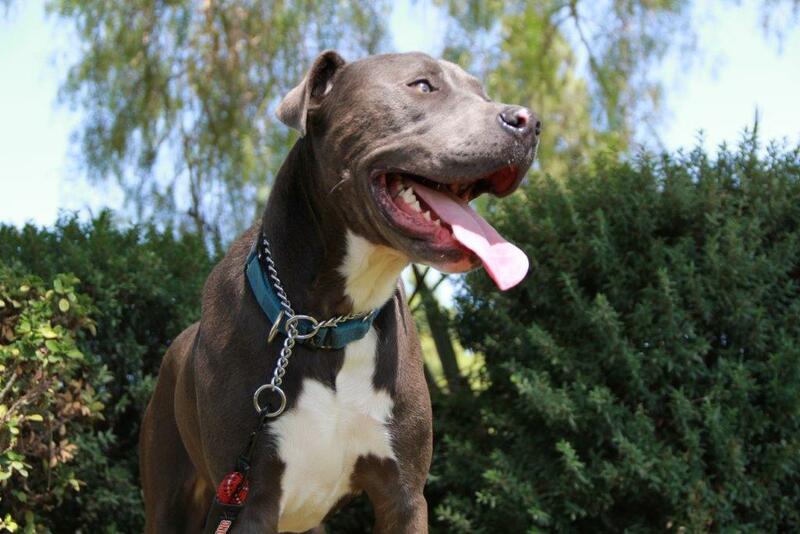 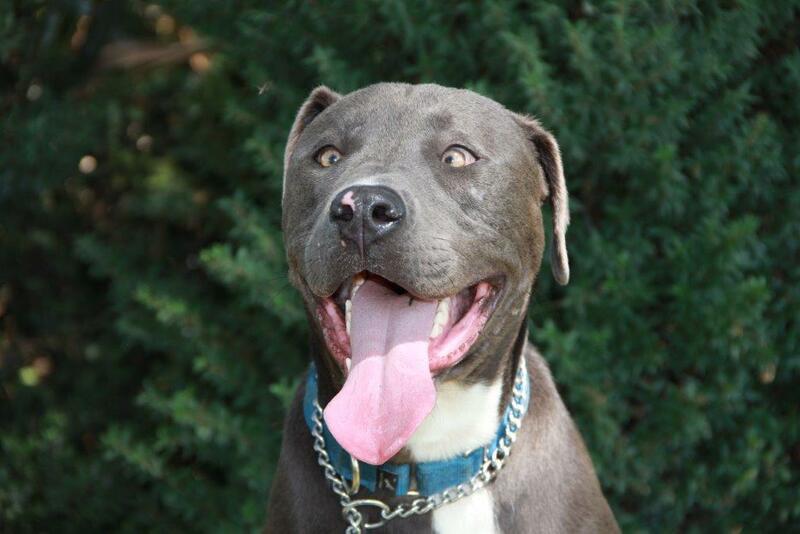 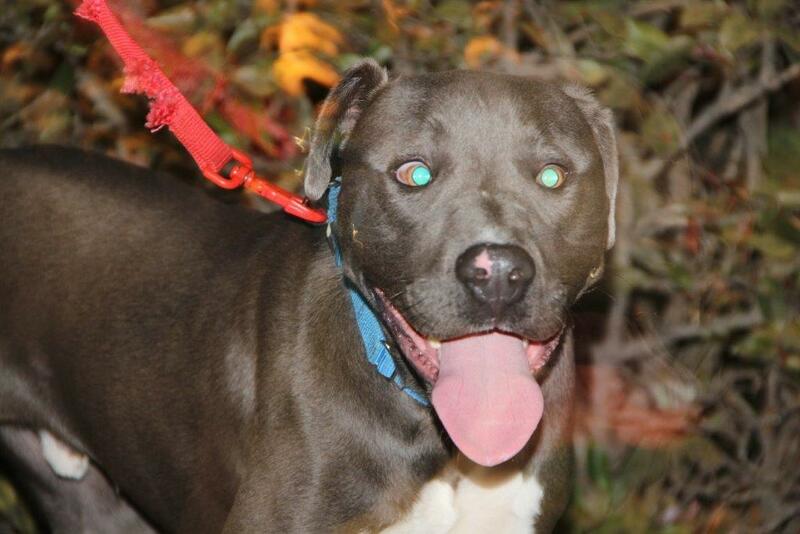 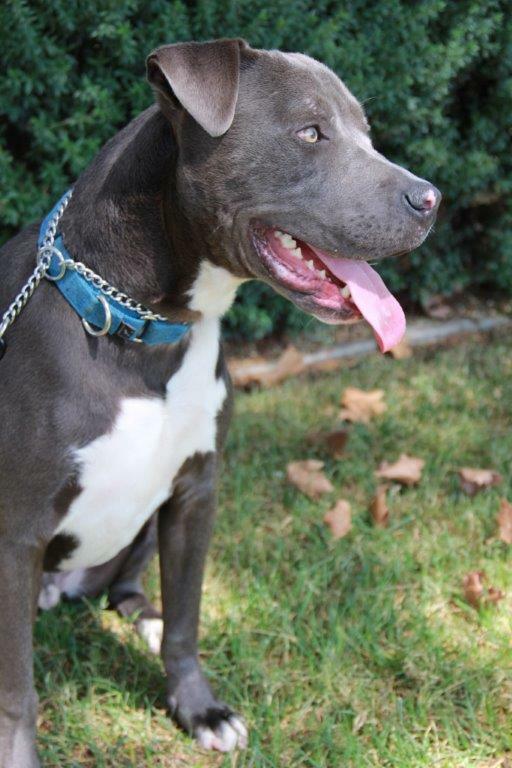 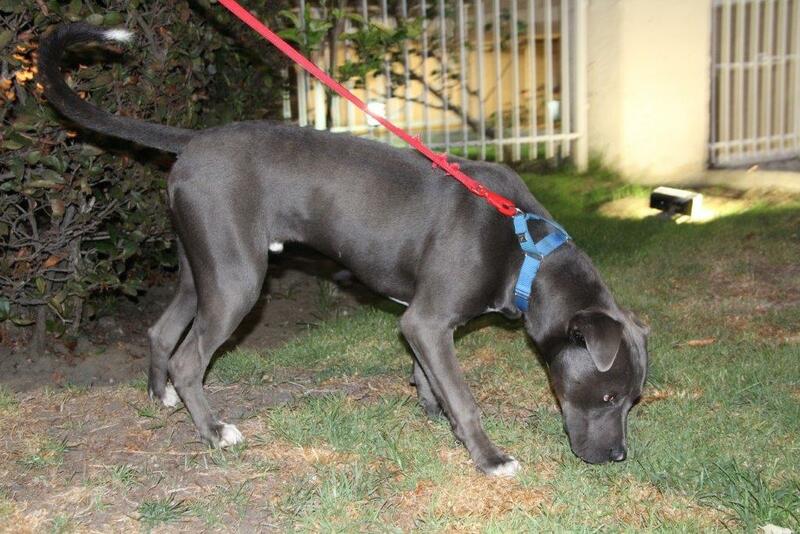 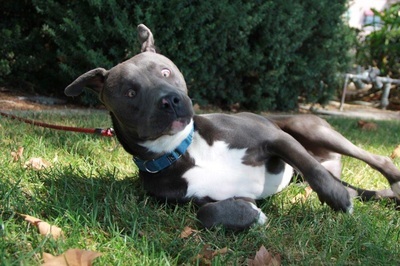 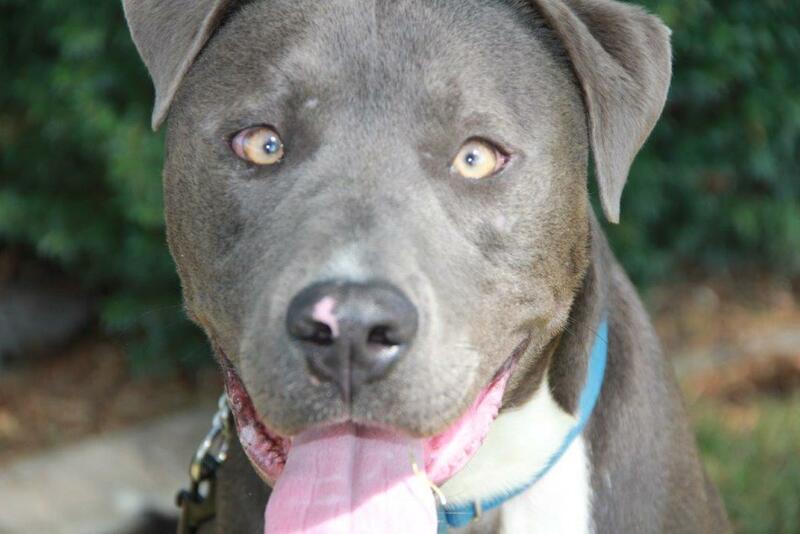 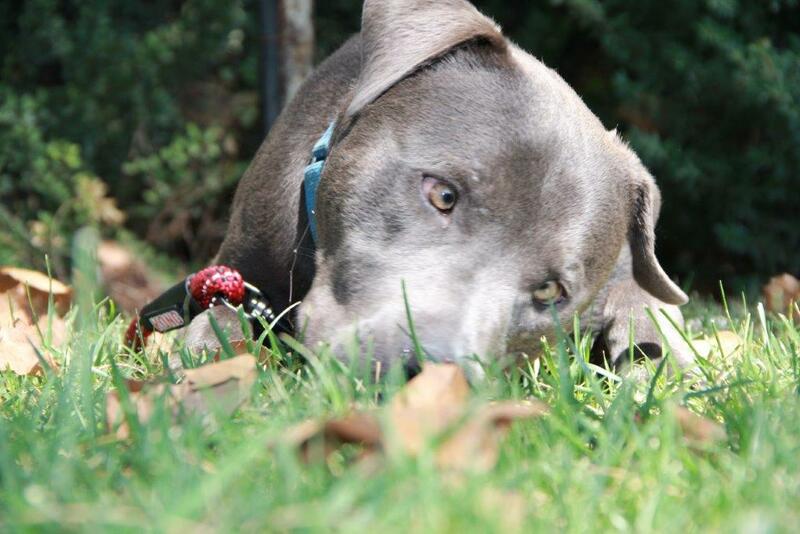 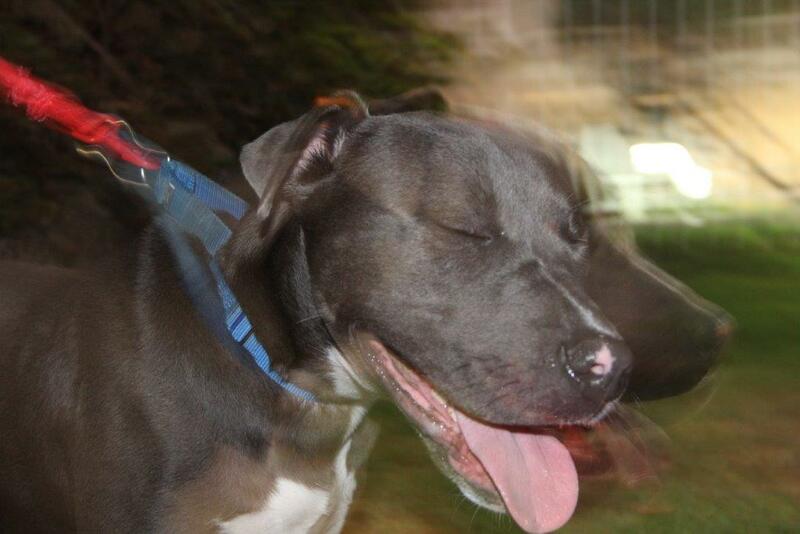 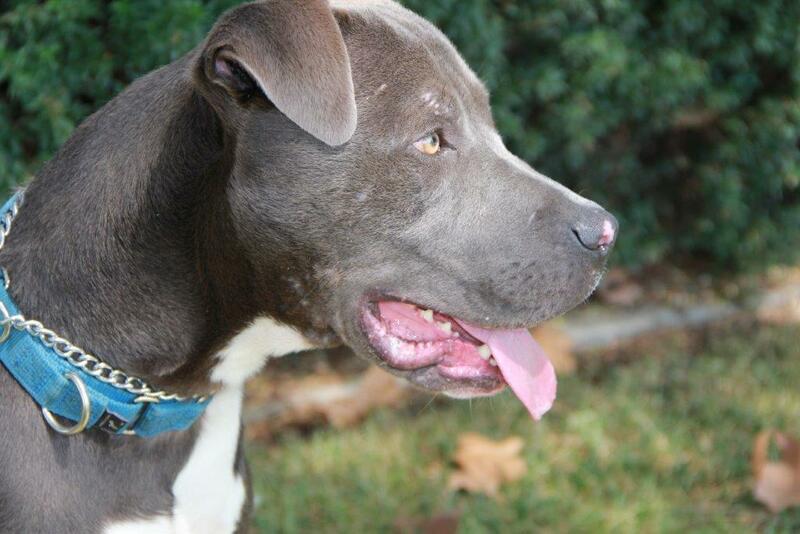 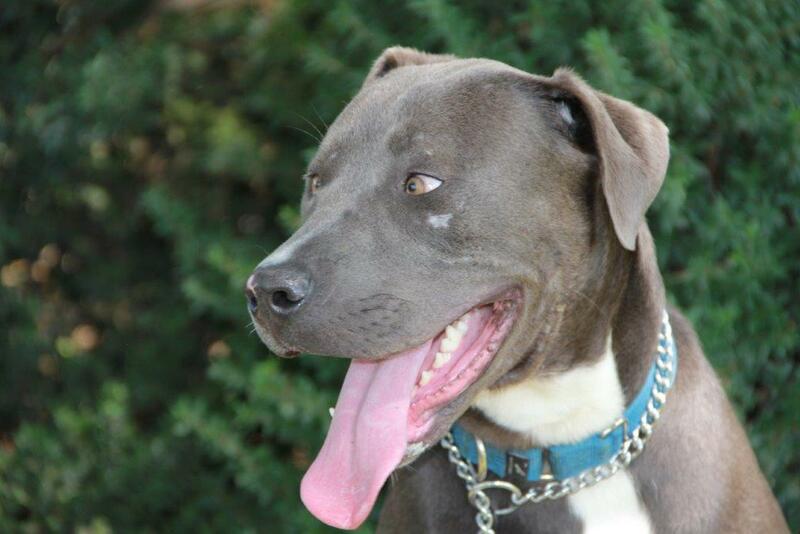 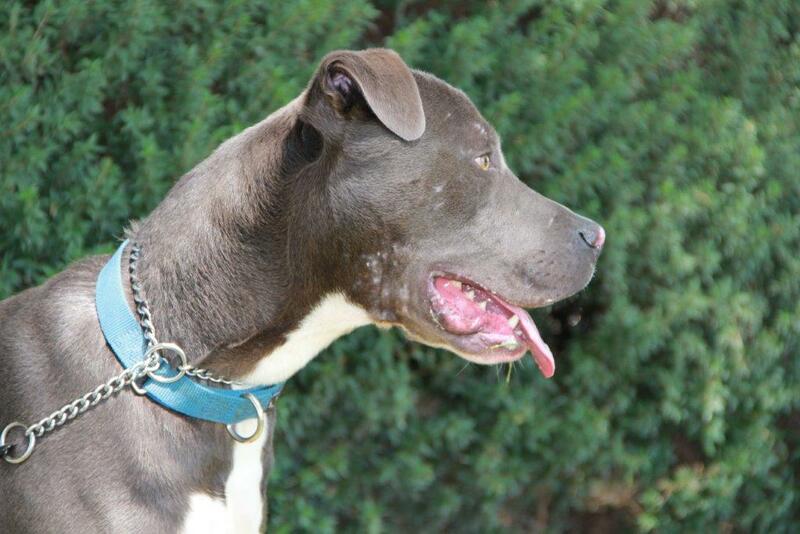 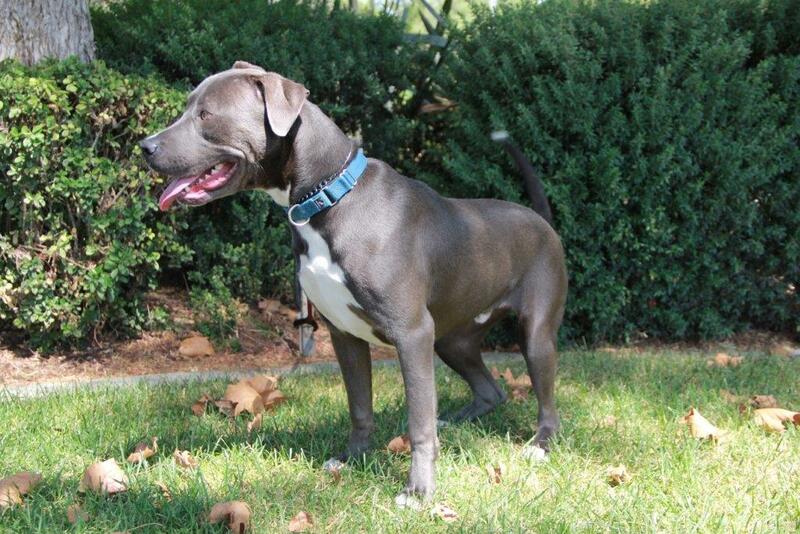 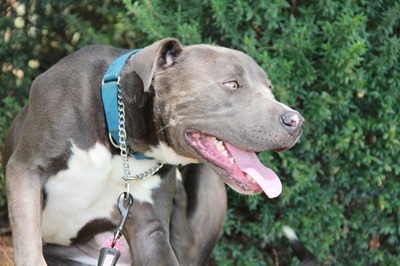 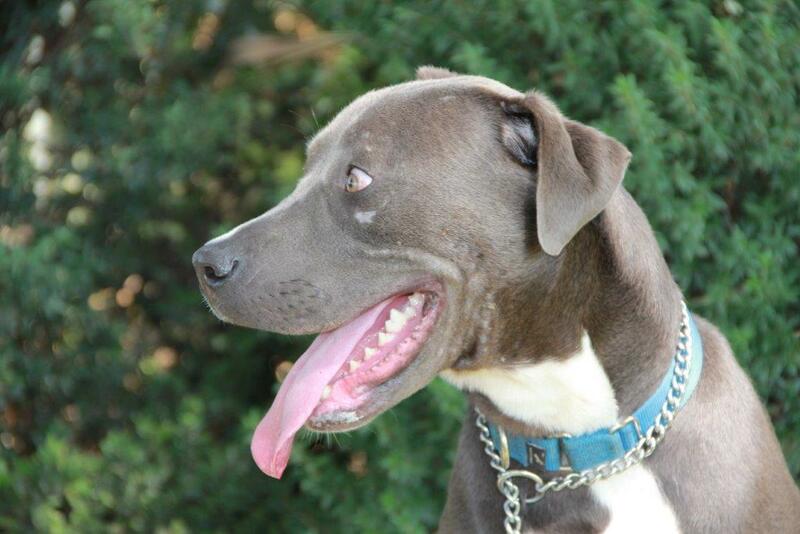 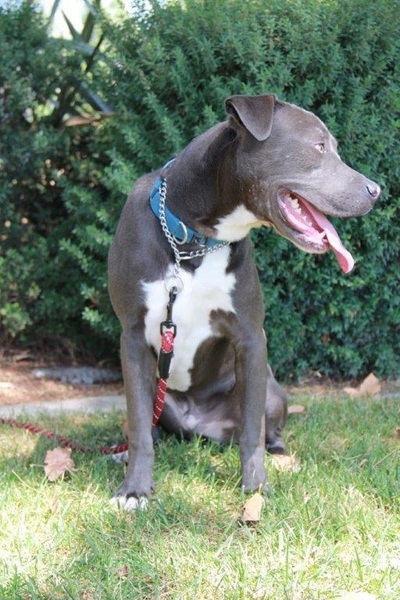 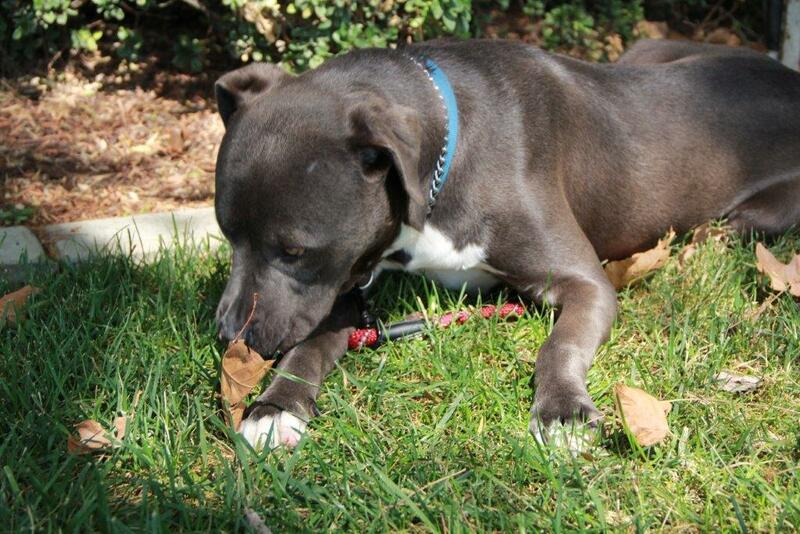 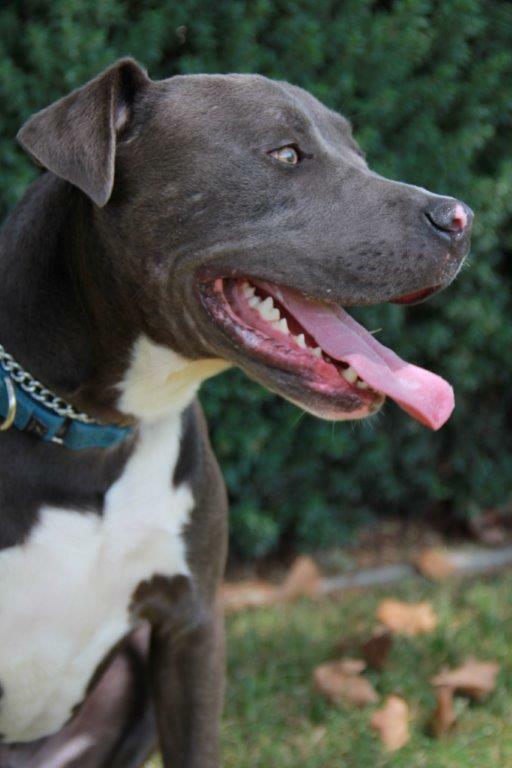 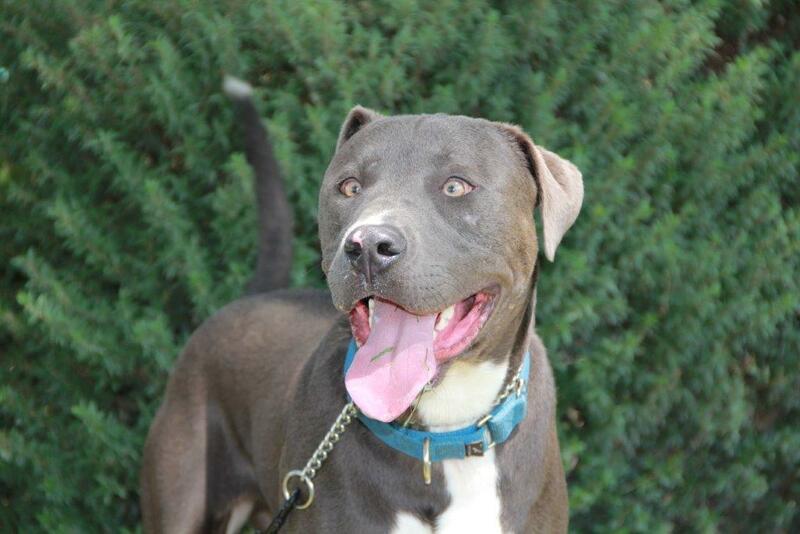 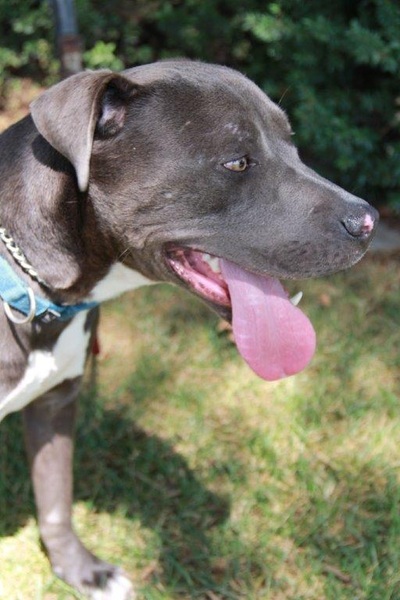 This blue-nosed pit mix with the crossed eyes and extra long tail would be the perfect successor to Scooby-Doo! Mr S is just oozing with charisma. 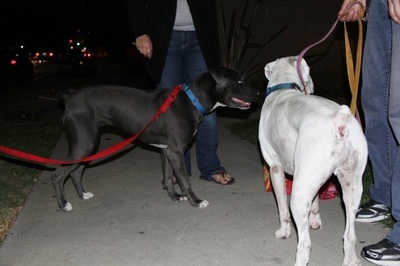 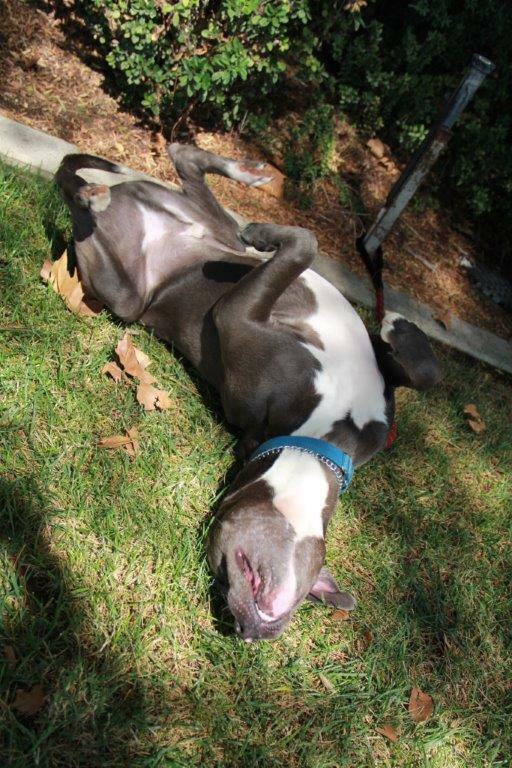 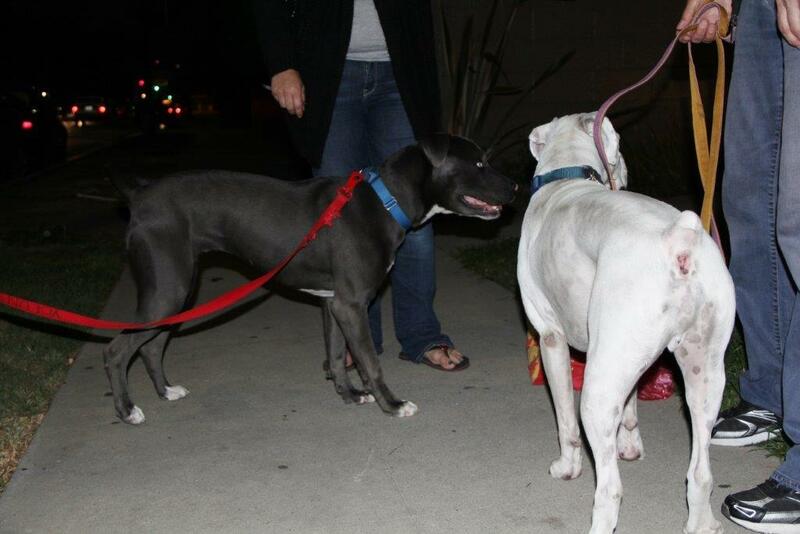 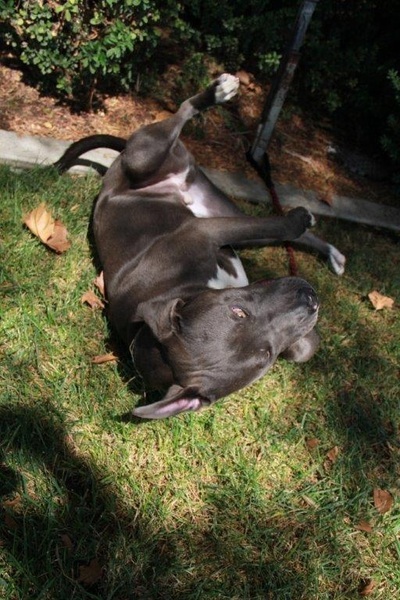 He moved right into one of our amazing foster homes where he is playing non-stop with his new canine best friend. In fact everyone he meets is his new best friend. 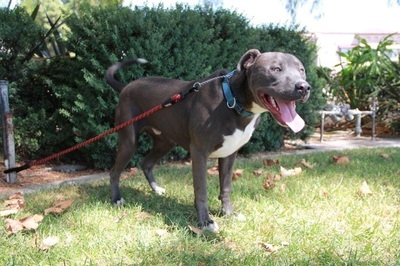 Hard to believe that he was on death row at an OC shelter and only made it out due to the dedication of a few of the shelter workers and volunteers who brought him to our attention. 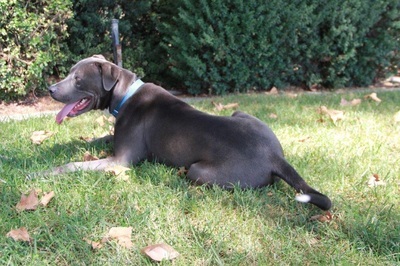 It's onward and upward for Shaughnessy. The future looks bright for Sachi's newest superstar!